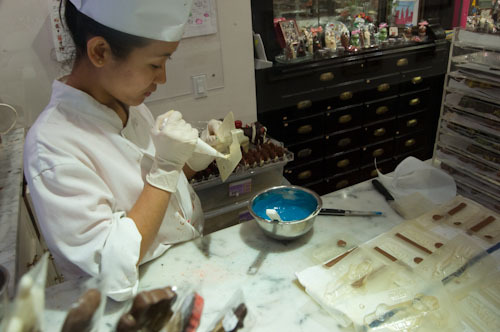 Martine’s Chocolates is proof that a cool small business can still thrive in Manhattan. The tiny shop on East 82 Street features a surprisingly wide array of different types of chocolates and is a great place for chocolate-centric gifts. 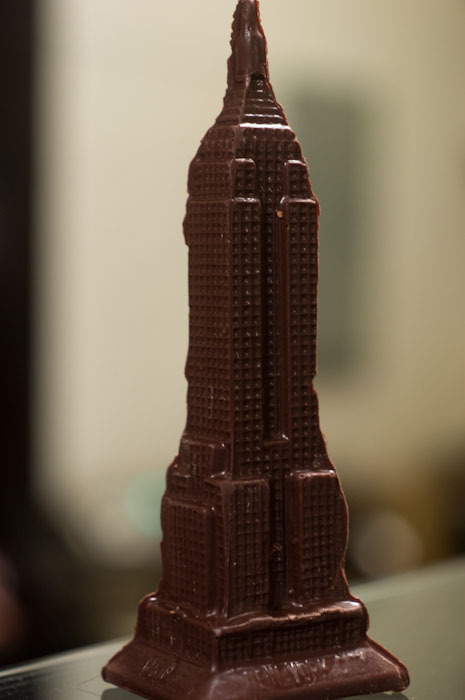 In addition to house-made truffles and ganaches, Martines also sells highly original molded chocolate art, such as a chocolate Metrocard or Empire State Building. 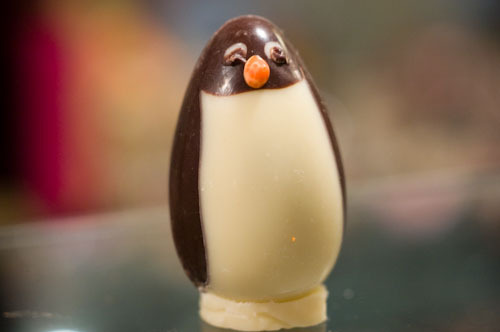 You might assume that because there is so much focus on kitchy chocolates like penguins and Metrocards that the quality of the chocolate is an afterthought. This would be a mistake. The ultra dark chocolate ganache I tried was every bit as good as my favorites in the city at Bond Street. Despite the minimal square footage inside the shop there’s always a chocolatier at work on one of the pieces. The day I visited some New York City taxi cabs were being created by hand, one step at a time. In addition to the Taxis and Empire State Buildings there’s also a Statue of Liberty and plenty of non-New York themed items such as violins, penguins and turkeys. All the chocolates I had from Martines were excellent. 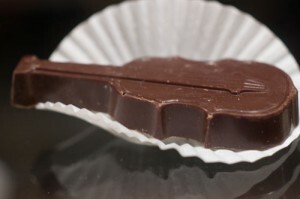 The alcohol based chocolates, were my favorites. 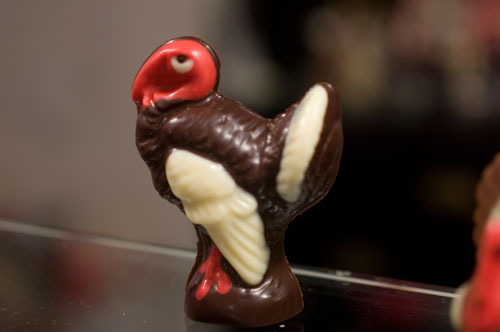 Recommended: Martine’s is the perfect place to get a gift for a chocolate lover. Martine’s main store is on 400 East 82 Street. 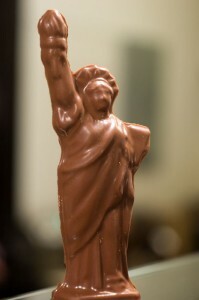 However, she has another on the 6th floor of Bloomingdales at 1000 3rd Ave. Their website is here. There’s a cool interview with Martine here. 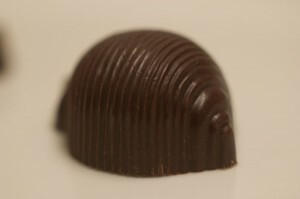 Oh, yes, I love Martine’s. 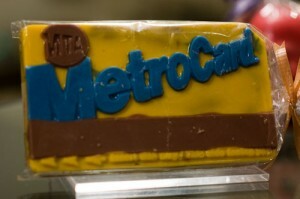 They are my favorite chocolates in the city! How much are the chocolate penguins. I’m looking for a favor for a wedding — 75 guests — in late June. We live in MA.